Web developers are used to using the popular API XMLHttpRequest to send HTTP or HTTPS requests directly to a web server and load the server response data directly back to the script. XMLHttpRequest has an especially important role in Ajax web development where it is often used to implement responsive and dynamic web applications, such as Gmail, Google Maps, and Facebook. Unfortunately, one troubling aspect of working with most browsers are using cross-domain requests involving two domains. On these browsers, XMLHttpRequests that use two domains are prohibited due to a security restriction called “same origin policy.” For example, if you are running a web application on appdomain.com and want to invoke an XMLHttpRequest on appdomain2.com, this would be prohibited. According to this security policy, browsers prevents a Request loaded from one origin from getting or setting properties of a document from another origin. Mozilla has been using this security policy all the way back to Netscape Navigator 2.0, so it’s not likely to change soon. JSONP: Even though browsers are reluctant to make cross-domain Ajax calls, another way to bypass them is by using <script> tags. With script tags (such as <script>, <img>, or <iframe>), the domain limitation is ignored, although you can’t do anything with the result as it is simply evaluated. However, by using JSONP you can pass a special parameter that gives the server some information about the page. So you have the server create a response in a way that your page can handle. According to CORS specifications, the caller will send a request by adding an “Origin” parameter (into request header) set to the request. If the request is approved by the remote endpoint, the caller will then receive a response that includes a particular parameter that denote success of the request is called “Access-Control-Allow-Origin” and is sent to any site to access the body of the HTTP response. CORS is a compromise that allows greater flexibility, but retains the security of same origin policies. While CORS may be the ideal solution, the new specification is still in its infancy and few browsers support CORS at present (CORS is supported in Firefox 3.5 and later, the latest versions of Safari, and Google Chrome). Until CORS becomes a universal standard, it is best to stick with the JSONP via jQuery to achieve cross-domain data access. 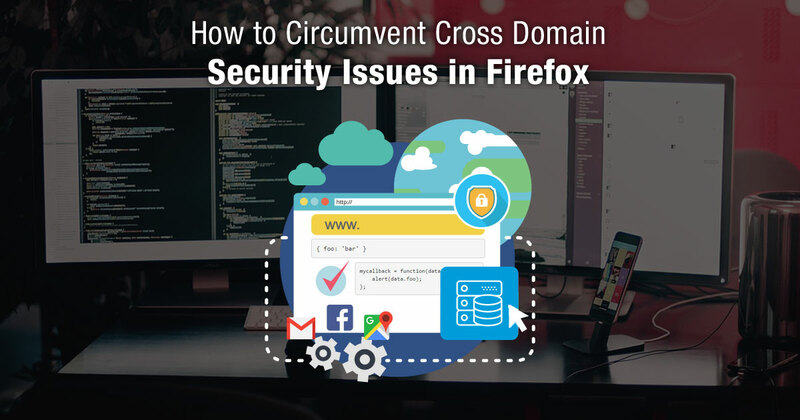 Call us at 484-892-5713 or Contact Us today to learn more how to circumvent Cross Domain Security issues in Firefox. Awesome, this was a really quality site. In theory I'd like to write like this too - taking time and real effort to make a good site. Proxy Server is a really great way to see the destination web page of the website instead of directly calling and or any browser not restricted for this request. I really like this server. Domain Security Issues are common While working on Internet, Found this post very useful while searching for the solution of my issue regarding DNS. I was facing DNS Error for last night and tried to get resolve it, but failed. 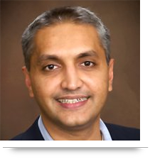 What to do if DNS fails in resolving the address of TCP-IP network? Thanks for sharing this post. I have gained knowledge from your post. Please keep it up and thanks again. There are also client applications that can be downloaded for free for iOS and Android users. Different modules can be used from the viewer so you can actually access a computer remotely without even viewing the screen, though screen-viewing is definitely Remote Utilities' main feature. This is a nice post.Domain Security Issues are common While working on Internet, Found this post very useful while searching for the solution of my issue regarding DNS. Thanks! !